Heard about Sun Basket, the organic meal kit delivery service, and wondered if it’s worth it? 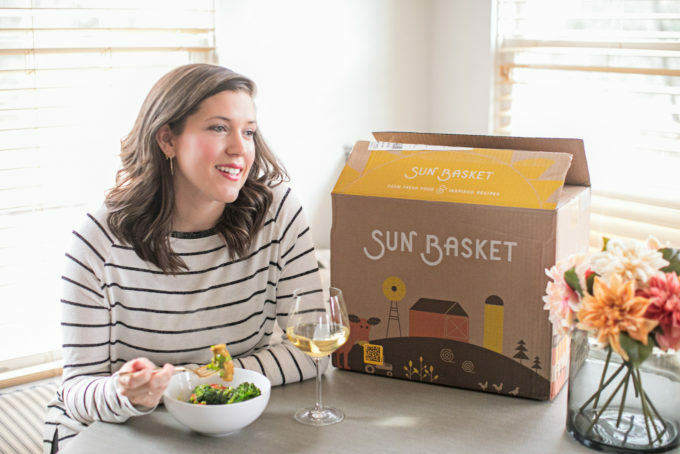 In this Sun Basket review, we share what makes this healthy meal delivery standout from the crowd. Read on to find out if Sun Basket is right for you, plus get special savings on your first order! For all of us, life is busy. For me, having a newborn and running my own blog and business doesn’t usually leave me with much time. 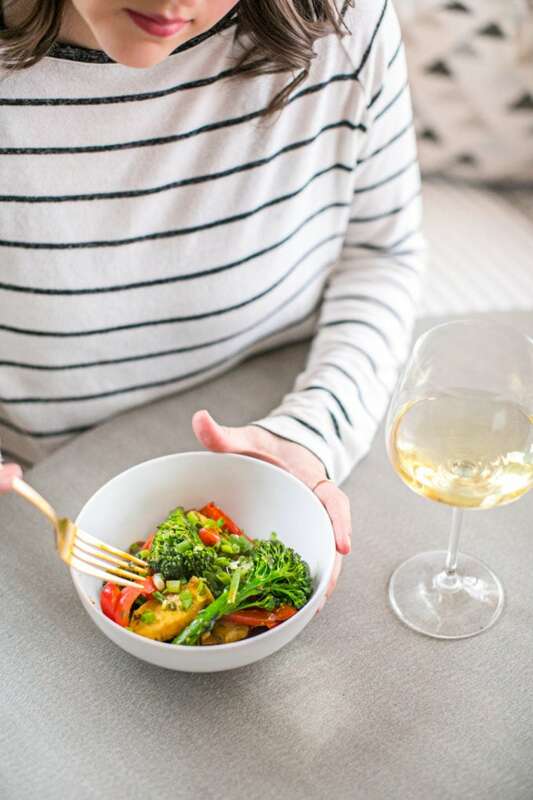 Even though I’m a food writer and recipe developer, I still regularly rely on meal delivery services at least a few times a month, because why wouldn’t I want to make my life easier?! 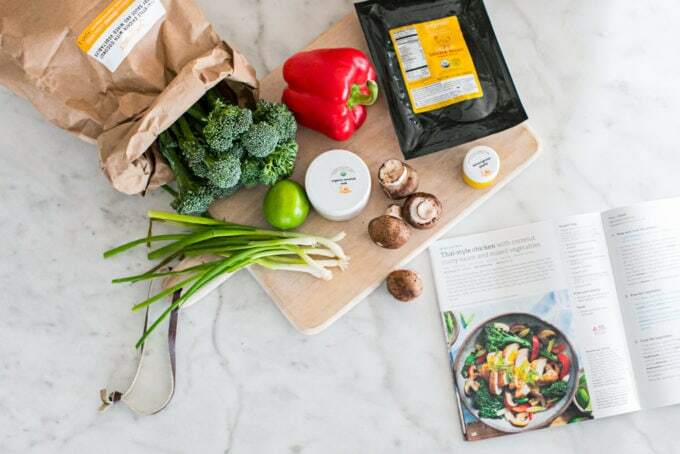 I’ve already told you how Sun Basket is my favorite meal kit delivery service because of their organic and nutrient-dense ingredients, customizable meal plan options (choose things like Paleo, gluten-free, soy-free, vegetarian, etc. ), sustainable packaging, and–most importantly–the food is actually super delicious! 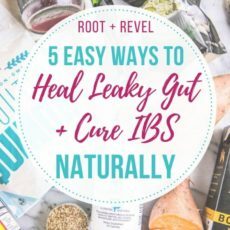 You can read more about all those details in this post: The Best Healthy Meal Kit Delivery Service. 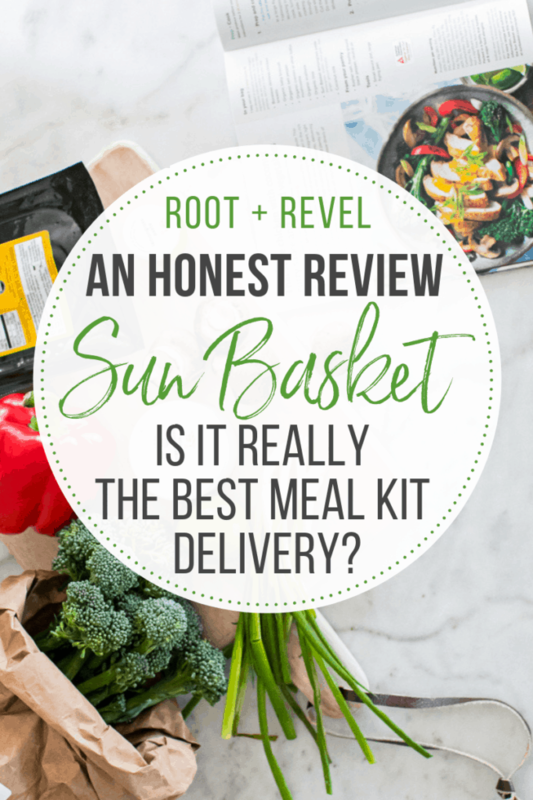 Today, I’m back to share more about my love for Sun Basket with a review of their latest meal options from my most recent box, and some of the upgraded features since my original post published almost two years ago. First things first: this post is NOT sponsored by Sun Basket! 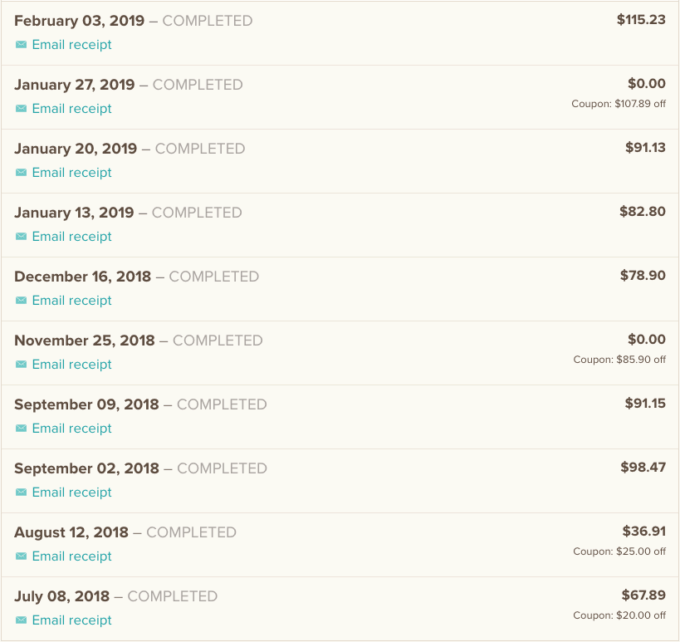 I regularly pay for Sun Basket at least two or three times a month, if not more, so simply wanted to share more with you about why I think it’s the best meal kit delivery service, and why I gladly pay for it month after month (see screenshot above showing my recent orders). What’s New at Sun Basket? One huge change since my first Sun Basket review is that now, in addition to picking from 18 different weekly meal options customized to your diet preferences, you can now pick from four additional add-on categories, which I love! What are they? Salads: Sometimes I just want a healthy, crunchy salad at the ready. Can’t I buy that at Whole Foods, or Sprouts, or Trader Joe’s, you ask? Sure, but with Sun Basket it’s delivered to my door and made from all organic ingredients. It’s just easier for me when it’s already in my fridge and I don’t have to go out and buy it because, well… mom life, ya know? Some of my favorites are the spicy Southwestern salad with chipotle vinaigrette and the rainbow Asian salad with chicken and tamarind-cashew dressing. Snacks: Ditto for snacks, like Spinach-artichoke dip, Avocado hummus and Red pepper dip, best with with carrots, snap peas and sweet peppers. Sauces: Likewise, when I have my own proteins on hand and just want a sauce to help me get dinner together quickly I love grabbing one of their pre-made and flavor packed sauces like Parsley-pecan pesto, and my very favorite with steak: Romesco. Wine: I think you know by now that I’m a self-professed wine lover, so when Sun Basket started adding natural wines as an add-on, I was like a kid in a candy store. Their wines are made with organic or biodynamically farmed and hand-picked grapes, fermented with natural yeasts, are additive-free, have low or no sulfites, and nothing is removed from the wine (meaning they have more flavor and body). Another upgrade Sun Basket made since I first started ordering with them is the number of meals you can pick per week. You can now choose as little as just two meals per week (in addition to their standard three- and four-meals per week options). Note: the new options outlined above are NOT available on your very first order, but are available on all orders after that. Hungarian Pork Meatballs with Cauliflower ‘Rice’: I love this one-pan meal that meets lots of dietary needs like Paleo, gluten-, soy- and dairy-free, and carb conscious. One thing I often do to save even more time is just brown the ground meat as is, rather than making meatballs. This one-pan meal was packed with flavor and I loved the addition of dried figs and watercress, two ingredients I would never think to add on my own but that totally made the dish! Calabrian Wedding Soup with Orzo and Turkey Meatballs: Oh man, this was the PERFECT lunch–it lasted me for nearly 4 full meals and the fresh dill was a revelation! Once again, I didn’t end up making the meatballs and instead just added the ground turkey to the soup which was perfection. Thai Style Chicken with Coconut Curry Sauce and Mixed Vegetables: This easy, 20-minute meal (pictured throughout this post) was a rainbow treat that tasted like an authentic, yet deconstructed, version of classic tom kha gai. The fragrant lemongrass paste is my favorite part, as it’s something I’ve never been able to find at the store or quickly make myself, but the amount of flavor it adds to the dish is unreal! Ready to try Sun Basket for yourself? Sign up today and get $80 off! 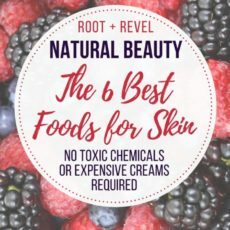 That’s $35 off box one, $25 off box two, and $20 off box three. There’s no commitment–you can skip a delivery or cancel at any time, plus they have a 100% Mouthwatering Guarantee where, if you’re not happy, you can get 100% of your money back within 7 days of delivery. Have you tried Sun Basket? Let us know your thoughts in the comments below! « Previous PostDiaper Bag Essentials: What’s In My Diaper Bag?